1. 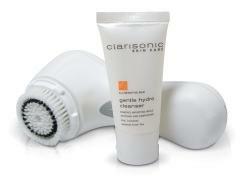 Clarisonic Mia Sonic Skin Cleansing System - This little device is a lifesaver. I use it 1-2 times per day for a deeper cleansing of my face. You won't believe the dirt residue on your brush after the first time you use it! It provides a deeper clean, and since I travel quite often I love how portable it is. 2. 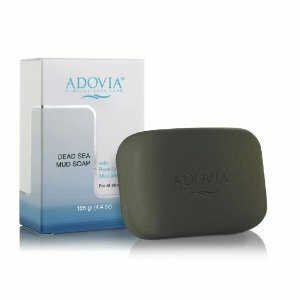 Adovia Natural Dead Sea Mud Soap - I just recently started using my clarisonic with this mud soap as a cleanser and I'm amazed! I actually could see an improvement on blemishes and minor acne spots. Also, it left me skin feeling so soft that I also began using it on my body as well. 3. 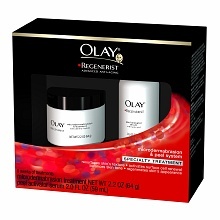 Olay Regenerist Microdermabrasion & Peel System - I use this as an exfoliator once a day. It's an absolutely amazing way to scrub away that old dead & dry winter skin and reveal a super soft and refreshed face underneath! 4. 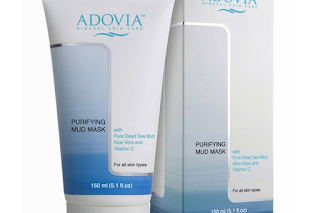 Adovia Purifying Mud Mask - I use this mud mask once a week for extra purification and I love it. With nourishing and demineralizing dead sea water & mud, this miraculous formula leaves skin healthy and glowing. 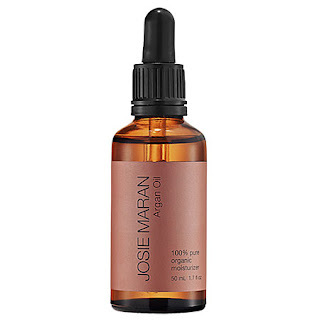 Plus I love that it only contains natural ingredients... from a pretty awesome source too! Well, there you have it. Hopefully some of my recommendations will help your skin dazzle this holiday season! Great picks and products Rachel!! I have to try that mud mask! OOH I want that mud soap. I'm a sucker for that kinda stuff. And I look forward to the next meet-up, ladies! I'm obsessed with my Clarisonic Mia! Great post and great products can't wait to try the mud mask!